It's been a while since we last updated Workspaces. For the last few months we've been working on the next big version and some new, nice projects. It will take some time until Workspaces 2 will be ready, so we made a small update to improve the app. 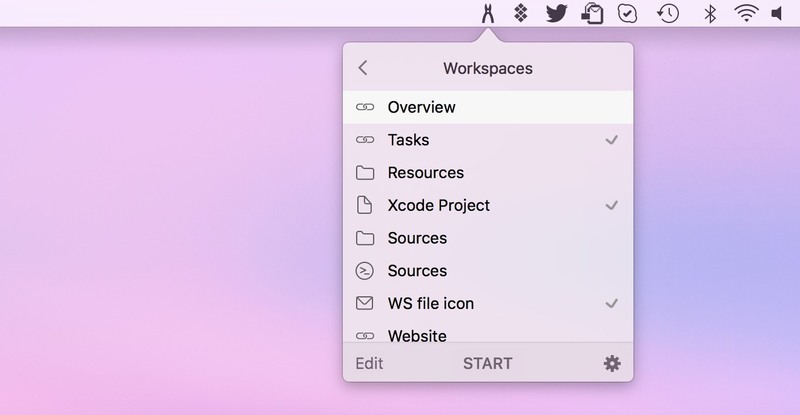 Workspaces 1.3 knows where your resources are, even if you change their name or location. You don't have to worry about it. Workspaces will find it for you. The new release also introduces workspace and resource URLs, so they can be open within your script (e.g. by using open command.) To get the URL, just open the editor, right&dash;click a workspace or resource and you find new Copy URL option in the context menu. You will find it in your clipboard. We also made some fixes: umlauts are properly handled in Website Addresses; columns in the editor can be resized; and some graphics has been adjusted for Retina&dash;displays. The update is free. You will find it — depending on how you bought the app — in MacAppStore, Setapp or by clicking gear icon in the Workspaces popover (choose Check for Updates...). If you don't have Workspaces yet, you can download it from its page.